This post explores the structure of BARDSS and, in particular, how we envision the user interface which might be launched by the end of April, 2016. BARDSS is divided into two main domains: the data entry/administrator interface and the user, search, and visualization interface. The data entry is only accessible for those working in the project. It is used by the team in charge of extracting the data from the documents and migrating it to the software. 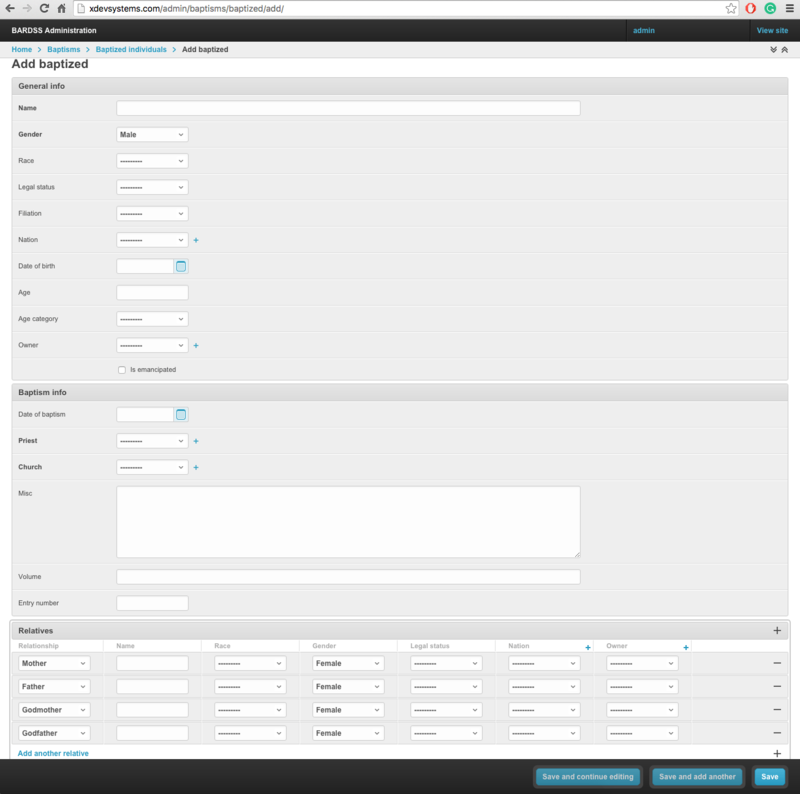 The user interface has a main landing web-page with diverse sections. The most important tool in the user interface is the search tool. This is where users can do crossed search based on the fields already listed and that we already introduced to the readers in the last post. This is how we migrate data from the documents to the data entry form or administrator interface (Fig. 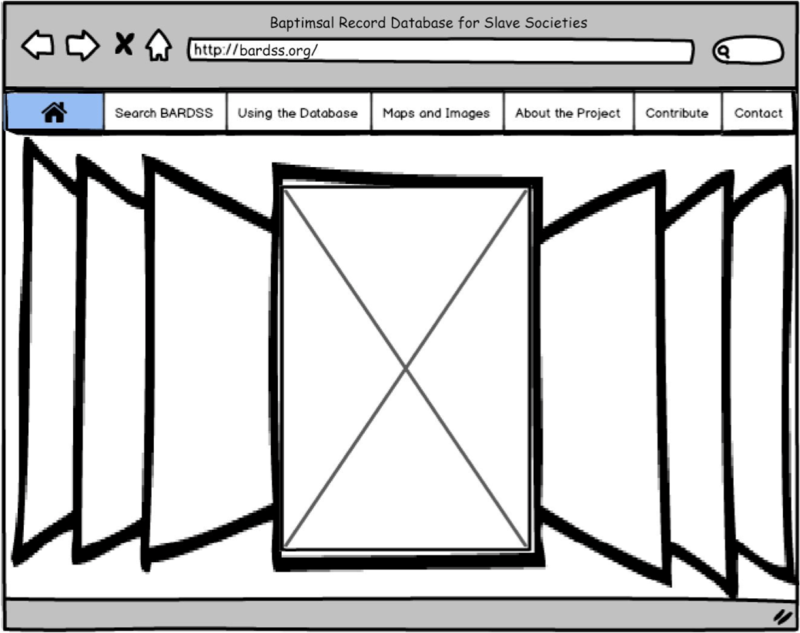 1): In order to make everything faster, we divide the screen into two windows, one for the database entry section, and the other for the digitized copy of the baptismal records. It looks more difficult than it actually is. There are many predetermined field that we just need to click on to add the data. For example, if we click on gender, legal status or filiation , a tab open with the limited options for those fields. We just need to select one of them. Once a field is added, we can reuse it without needing to write it again. For example, in the field “African origin,” every time we find a new “African nation” we click on the icon (+) and add the new nation. This feature works in the same way for owner, priest, church, and location. Once added, everything is faster. Fields are reusable. If the conditions are favorable, the images are clear, and the calligraphy is not extremely complicated, we usually spend around three minutes to add a single baptismal record to the database. We can access to the list of every record we have added and we can edit them whenever we want (Fig. 2). This is how we envision the user interface (Fig.3). The landing page will contain the basic information of BARDSS, but most important, the search tool. The section Using the Database offer to the users some instruction of how to navigate the site. This section will also contain the description of the fields. In particular, we want to highlight that some fields need to be approached carefully such as “African Nation” and “Race.” This section will also contain a glossary of historical terms that are usually used in the documents. Map and Images will contain some significative images related to slavery in places represented on BARDSS such as Brazil, Colombia, Cuba, and Florida. An interactive map will show the location of those parishes that show up on the site. About the Project is dedicated to acknowledging those institutions and individual contributors that have helped to make this project possible. It will also have some links to related projects such as the ESSS or the “Trans-Atlantic Slave Trade Database”. Finally, the Contribute will make possible for users working with baptismal records on slave societies to collaborate with our project. We have not decided yet what would be the best way to make possible this collaboration through an interactive method between collaborators and administrators. The most important section in BARDSS is the search tool, this is the core of this project. 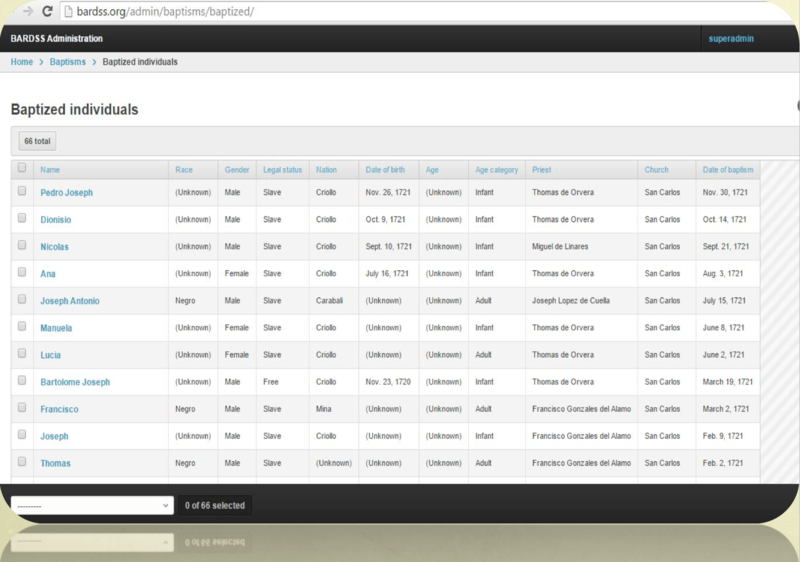 The goal is that users can make different types of crossed search based on the fields contained in the database. There are two main ways to search in the database, by data categories or by text. Data categories are those fixed fields we used to move the information from the document to the database. The great majority of the fields from BARDSS could be considered “data categories.” Some examples are gender, origin, filiation, legal status, age category, etc. The text category refers to those fields that are mainly plain text, such as names of the owners, baptized individual, mother, father, etc. The left side of the side in the search section will contain a list of the data and the users just need to choose/filter to obtain the results. After the search, the results will show up in a table expandable columns containing the fields selected during the search. 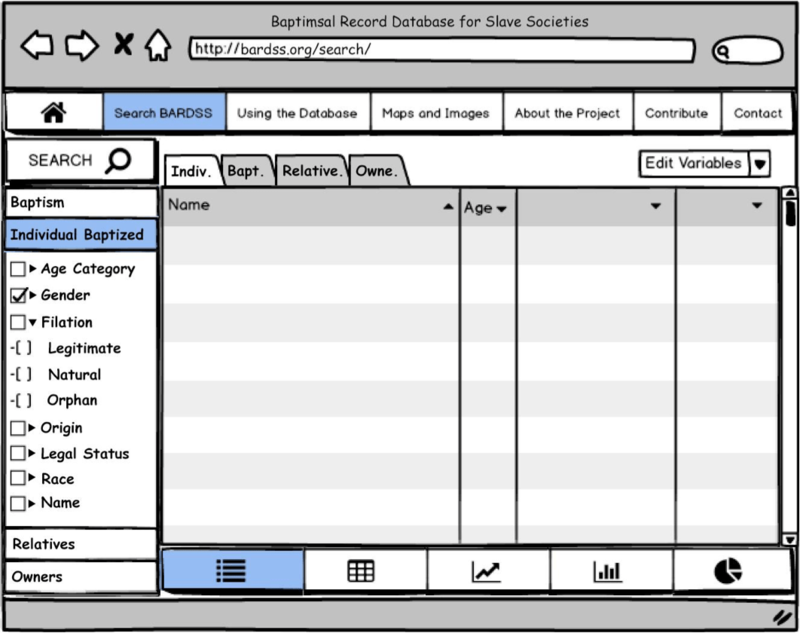 Based on the successful project, the “Trans-Atlantic Slave Trade Database,” BARDSS will make possible to the users to visualize their search. The results can be manipulated in the form of graphs, pie charts, and bar charts. Next section will show some of this features and some samples of the type of visualization users can expect from BARDSS. For my CHI project this year, I am building a website that will host stories of Xicano cultural survivance in Michigan. I’d like to take the opportunity with this blog post to give a preview of one story to be featured on that site. Enjoy! 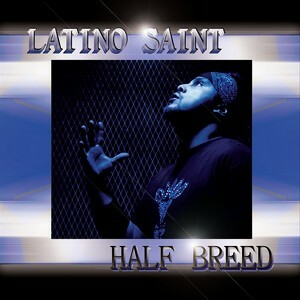 In 2004 my brother—stage name “the Latino Saint,” or “Saint” for short— released a crunk rap album entitled, Half Breed. As far back as I can remember, his music has pretty much always been about partying and taking pride in Mexican and Latino identities; this album is no exception. Half Breed takes its name from the mixed Mexican and white backgrounds from which we both come. As with most crunk music, much of the content is centered around alcohol, dancing and celebrating life with friends and family. Yet, in spite of the negative connotation of the term “half breed” itself, Saint delivers these club songs from an unapologetically Mexican perspective, reclaiming both the term and the concept of “half breed” and using it to assert his own position as a Mexican MC from the Midwest. My CHI project (#hearmyhome), uses sound to amplify what Steph Ceraso has called “multimodal listening,” a process that attends to the bodily, material, and contextual aspects of sonic interactions and relations. #hearmyhome uses the rhythmic resonances of everyday to explore more expansive understandings of space, place, and self. Thus, for a project that is about writing with place, mapping its products and participation seemed a must. As a collaborative team, we decided to hang our research on a hashtag, #hearmyhome, to aggregate data. It allowed us to index user-produced soundscapes while attending to the wider goal of exploring the multiple “homes” of our global participants. At first, we were curious in creating a crawler, a tool that would crawl the hashtag and pin locations of participants’ products. If the research component of the project investigates the acoustic territories of everyday culture, then we would want to visually see its cartographic reach. Now, in its fifth week, as the sonic event sequence turns the corner on the halfway mark, I’ve taken a step back. I’ve asked myself, “How do I map (and for what purpose) meaningful sound?” Limited by my own technological know-how with Leaflet and Mapbox, the pause in constructing the map and soundscapes knowledge base has been delayed. Well, stopped actually. I’ve taken a hiatus with that part of the project. Collecting the mundane music through each sonic event, I’ve decided to chart and map #hearmyhome’s participation at the conclusion of the 8-week sequence. The engagement between #hearmyhome participants across Twitter, Instagram and Facebook is far more interesting than any meaningful work that would happen by observing the expanse and scope of participation concurrently. Ultimately a pedagogical project, #hearmyhome has already sparked interesting instructional questions. For example, users have asked how remediating a ‘Where I’m From…’ poem may change if choosing not to write it using alphabetic print, but instead selecting sound as the mode of primacy and attaching it to place. Deciding to map these small moments and glimpses of ambient audio after the sonic even sequence, we hope to keep the buzz alive far into the future as we lurk, learn, and lead alongside of you all. If you are still interested in participating in #hearmyhome join us by signing up for our weekly emails here. Like our page on Facebook for more information on each sonic event or simply ‘lurk and learn’ by following the #hearmyhome hashtag across Instagram, Facebook, and Twitter. Interested in what participant sounds like? Click the Soundcloud link below and listen to how Steph responded to the prompt for our fifth #hearmyhome sonic event. We chose Steph’s example as it illustrates not only the beauty of noise, silence, and everyday hearings, but also for her ability and skill to remix the found sounds into a song all of their own. We encourage you to join the #hearmyhome collaborative at any time and we look forward to earwitnessing the everyday with you. Note: Hours after publishing the original version of this post, I found the How to Make a Sound Map: Cartographic, Compositional, Performative article on the Acoustic Ecology blog. 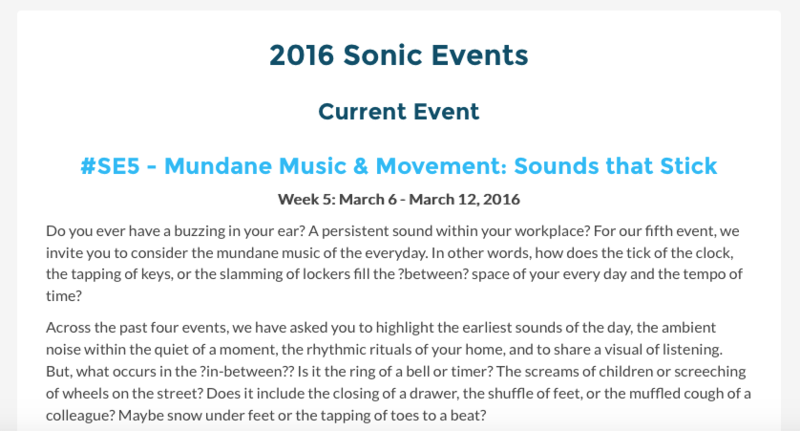 May be worthwhile for those of you interested in the intersection of sonic composition and narrative cartography. March 2013, Helsinki: I had the privilege to interview Martti Ahtisaari, former President of Finland and Nobel Prize Laureate, for my documentary film From Windhoek to Washington. From 1977 through 1981, Ahtisaari was the United Nations Special Representative for Namibia, and eventually the UN Special Representative, directing the United Nations Transition Assistance Group which administered the first free elections in Namibia in 1989, ushering in the post-apartheid period with independence on 23 March, 1990. His work in Namibia and later in Kosovo led to his receiving the Nobel Peace Prize in 2008. We have made some major progress since Nikki’s post last week! Not only have we figured out our toggling layer problem, we have placed the interactive map into our website! While we still have some little things to keep working on and adding to the website, our focus is now on user interaction. How do we want visitors to the site to learn about archaeology? How do we want to highlight certain aspects of archaeology? How much do we want to show on the map without it becoming cluttered?